ISEMAR is an observatory committed to international maritime economics. Located in the town of Nantes Saint-Nazaire, ISEMAR is developing an expertise on maritime transport, ports, and naval industry. With regard to its relevance and independence in its analysis of international maritime challenges, ISEMAR provides documented studies and synoptic analyses. We are also interested in maritime law and regulation issues. Attentive to states policy, we monitor public guidelines related to ports and maritime registers (pavilions). Lastly, our Institute works on the geopolitical scope of maritime trade. These studies and expertise take the form of reports, conferences, training, and publications. Founded in May 1997 as an association owing to Law 1901, ISEMAR operates with a director, a research officer, and an assistant. Our work as an observatory draws on a first-class information resource and databases built up through 20 years work. ISEMAR conducts a daily monitoring of sea-related news and leads observatory operations. We seek to gain the best understanding possible of the challenges related to maritime industry transformation. We have been developing four major activities: studies, publications, operations and training courses. These are targeted to professionals in the maritime world, and beyond to all the stakeholders concerned by sea-related issues, namely, the authorities, economic development agencies, research centers, students and the media. This observatory status enables us to conduct research and information dissemination efforts. We publish our own publications via the Summary Reports. We have teamed up with professional maritime media. We gladly take part in numerous events related to the sea and its use, in France and in Europe. ISEMAR develops market research for private firms, ports, and public authorities. We analyze maritime and port market shifts and stakeholder strategies. Our market analysis and expertise offer draws on thorough research and effective analytical approach. ISEMAR capitalizes on all of these activities to position itself as the touchstone in France’s maritime world. In 2008, it received an award from the Marine Academy’s Claude Boquin Foundation in recognition of this. 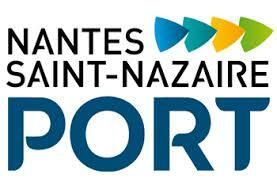 The Institute’s founding was an initiative of local communities and port trades sector in Nantes and Saint-Nazaire. 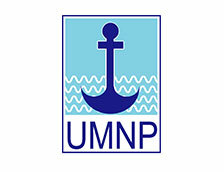 Its current members are the CARENE (Saint-Nazaire agglomeration), Nantes Métropole, the Région Pays de la Loire, the Conseil départemental de Loire-Atlantique, the CCI Nantes-Saint-Nazaire, l’Union Maritime Nantes Ports (UMNP) and the Grand Port Maritime in Nantes Saint-Nazaire. ISEMAR benefits from the support of public and private stakeholders from one of the leading maritime centers in France. ISEMAR’s work comes together thanks to their anchoring in a major port place and a vast world-class naval construction site. 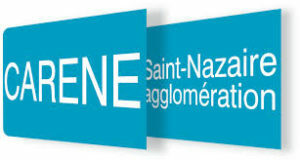 ISEMAR is a natural member of the maritime and port community in Nantes Saint-Nazaire. We use our skills to assist port firms and industrial fabric of naval construction. As an observatory attached to the Coastal and Maritime Center at the Université de Nantes, we reaffirm our strong ties with the world of research and higher education. 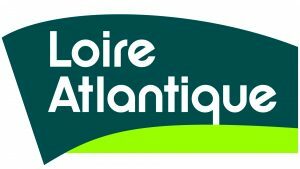 Our membership to the Pôle Mer Bretagne Atlantique (PM Bretagne Atlantique) and the Observatoire des énergies de la mer (OEM) is a testimony to our broader anchoring in an innovative momentum around the sea and RME in western France. Moreover, we are committed to developing a Mediterranean link by maintaining close ties with the Institut Méditerranéen des Transports Maritimes (IMTM) in Marseille. Finally, we have acquired the reputation, within the French Maritime Cluster (CMF), as the benchmark in independent assessment for maritime economics.